When you first login as a Contractor, you will be brought to the . To post a job, click the green button labeled "Quick Ticket" located in the top right corner of the page or on the side menu above Job Board. After clicking "Quick Ticket" you should see this page. This is where you fill out the information about the job you would like to post. Customer Reference - Personalize for your own personal records. Start Date - The date and time in which you need trucks to begin working. **Payload - The type of material you need for your job. **Unit of measure - The measure of how you will be paying for material. Hour and Load have an option for unlimited for those who need a large amount of material but might not know how many hours or how many loads is needed. Per Unit Price - How much you are paying per unit: Cubic yard, hour, load, or ton. 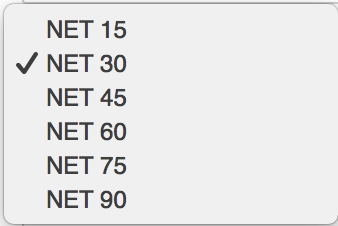 Terms - The net amount (the total outstanding on the invoice) is expected to be paid in full and received by the seller within 15, 30, 45, 60, 75, or 90 days. 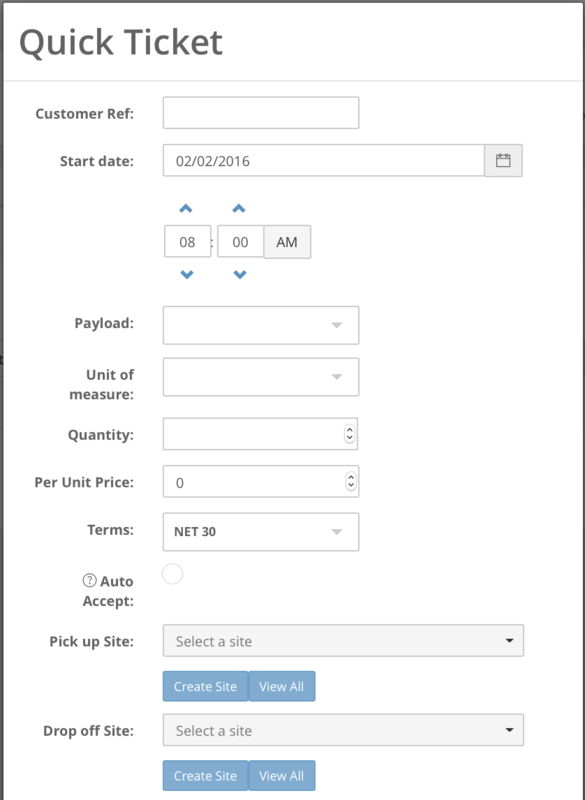 Auto Accept - When selected, truck bids matching your posted bid are automatically accepted for the job. Bids different than the posted bid must be manually accepted. Pick up Site - Where material needs to be picked up. Drop off Site - Where material needs to be dropped off. 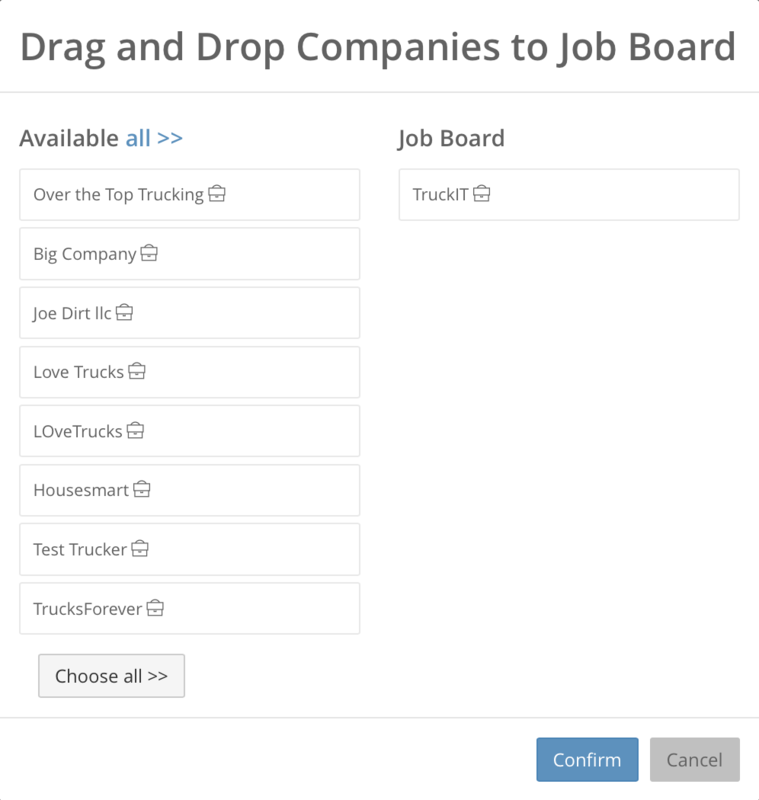 Job Board - This is where you enter the number of trucks you need and select which haulers to send the job to. You also have the option of adding a note to give haulers more information about the job. This can be left blank. 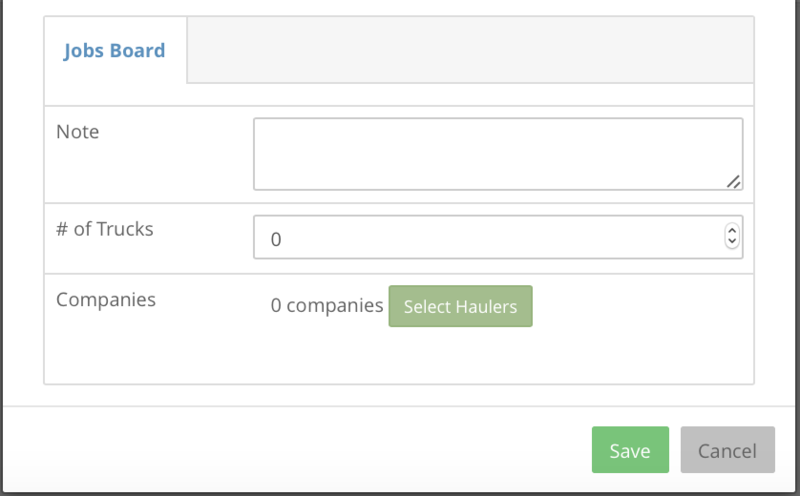 When selecting haulers, you can choose specific hauling companies or all available companies by selecting the "All" button. After selecting hauler companies, click confirm to return to quick ticket. After all information has been entered, the save button at the bottom of quick ticket will turn bright green and you will be able to save this job to the Job Board. If all information needed is entered, the Save button will look like this. If there is information missing, the Save button will look like this. After saving your job, it will be submitted to the Job Board and notifications will be sent to the hauling companies you chose when filling out the Quick Ticket. You have successfully posted a job to the Job Board! 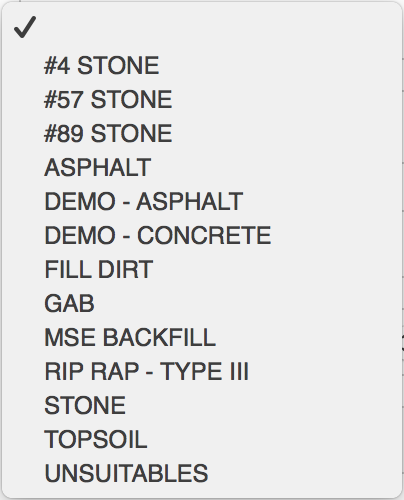 **Contact TruckIT to update or add to these lists.